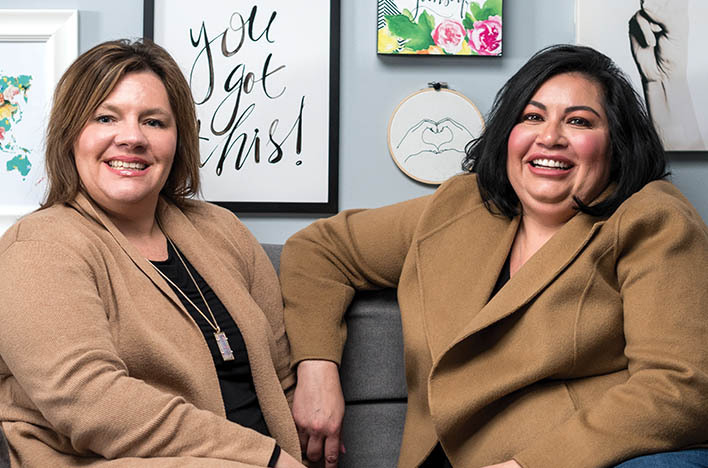 When Joelsette Hernandez-Jones started her IT and engineering staffing firm Pharos Partners in 2014, it was following a decade in IT consultation across several large corporations in Kansas City. Hernandez-Jones has been on a roll lately: For starters, she was recently accepted into 2019’s Million Women Mentors Entrepreneurship Initiative development program through Wells Fargo, which accepted only 12 women across the country. The program focuses on capital access, strategic planning and growing networks for women-owned businesses in STEM fields — science, technology, engineering and mathematics. 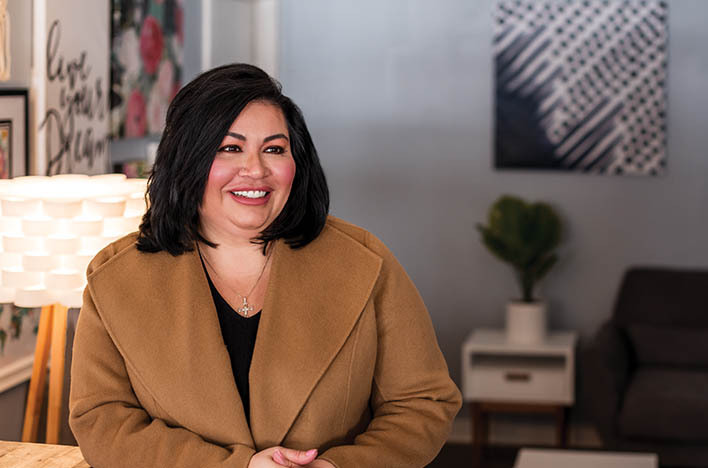 She also earned a spot as an honoree in Kansas City Business Journal’s 2018 “Women Who Mean Business,” and she won the Hispanic Chamber of Commerce’s 2018 “Nuestra Latina” Entrepreneur of the Year. To top it off, she’s a mentee in the Helzberg Entrepreneurship Mentorship Program. “I’ve been very blessed that Pharos’ growth has been consistent, and that growth includes being able to staff nationally now,” Hernandez-Jones said. Before she caught the entrepreneurial bug, Hernandez-Jones held IT consulting positions with several prominent businesses in the Kansas City area, including IBM, Cerner, Waddell & Reed, Sprint and American Century Investments. In 2013, she was managing 10 engineering teams across the U.S. and Canada with Cerner — but something still wasn’t clicking. Hernandez-Jones faced a difficult decision when Cerner offered her another position: If she took it, her dreams of starting her own business would move to the back burner. So she declined the offer and got to work in launching her own staffing firm. Pharos Partners primarily works to recruit and staff IT and engineering talent through one-on-one consultation “not just behind desks, but also out in the field.” The three-person team places high priority on making sure hires are a right fit for both sides of the position. “It’s not just about making the client happy, but also the candidate — it has to be right for both sides,” Hernandez-Jones said. “I think it’s the personal touch on both sides that sets us apart. Hernandez-Jones’ work with minority-owned businesses means that helping diverse small businesses get certified is a central priority for her. Pharos Partners itself has certifications as a woman-owned, minority-owned and disadvantaged business enterprise, which Hernandez-Jones says “opens doors” to working with other diversity initiatives in Kansas City’s business community. “What’s important to me is being able to help other people in the community get their certifications and help build up their companies for long-term success,” she said. When she’s not raising her four kids and running her company, Hernandez-Jones devotes the rest of her free time to chairing boards for causes that are important to her. Those most recently include the Hispanic Chamber of Commerce; MainStream Coalition, the largest bipartisan political advocacy group in the U.S.; Central Exchange, an organization that empowers and connects women; the Westside Housing Organization, which provides housing for low-income families; the Kansas City E-Ship Coalition through the Kauffman Foundation, which targets cities throughout Kansas City at risk for gentrification; and Heartland Chamber Music, a musical education program for low-income youth founded in Omaha. Heartland Chamber Music’s initiative String Sprouts offers a free program that teaches children from low-income families how to play violin. “All of these boards are very diversified, and they’re all very specific to areas I’m passionate about and wanted to make an impact in,” Hernandez-Jones said. As part of her position with the Hispanic Chamber of Commerce, Hernandez-Jones travels to Washington, D.C. once a year to lobby for Hispanic small businesses. When conversation turned to representing her community on Capitol Hill, Hernandez-Jones started beaming. With a year of impressive accomplishments under her belt, Hernandez-Jones has even more in store for the upcoming months. Starting this month, she’s launching a second company. Her newest business venture, Pharos Solutions Inc., is a waste management brokerage firm. After interacting with the construction management world in Kansas City, Hernandez-Jones noticed a considerable gap in skilled trades as well as a need for more minority- and women-owned businesses in construction management. Pharos Solutions’ mission is to connect construction firms with waste management resources for their projects. “While waste management may seem very different from staffing, there’s actually a lot of synergy with consulting,” she said. In the process of scaling Pharos Solutions, Hernandez-Jones plans to devote her next six months to understanding the construction and waste management industries inside and out. From this, she hopes to establish strong partnerships with local construction firms. But by no means does her new business take away from her goals with the current one. This year, she aims to double the revenue of Pharos Partners, to get her 8(a) certification and to ultimately become an approved supplier for even more companies throughout Kansas City. Receiving her 8(a) certification through the U.S. Small Business Administration for Pharos Partners would enable Hernandez-Jones to bid on government contracts. In addition, her upcoming participation in the Wells Fargo accelerator will allow her to provide staffing for and develop strategic partnerships with national corporations. “My biggest focus right now is strategic, national growth — to establish more clients and to become an approved supplier for them.